So when I got invited to visit South Padre Island by Texas Tourism, I was a little skeptical. I mean, I don't really party – hell, I don't really even drink! But then I started poking around online to see what else there was to do on South Padre. And I was surprised to find lots of things that had nothing at all to do with partying. Things like dolphin cruises and paddleboarding and horseback riding and a sea turtle rescue center. So I agreed to go. Because one of the things I love most about what I do is being able to dispel misconceptions and set the record straight about destinations that have a lot more to offer than people assume. South Padre Island is definitely one of those destinations. After spending four days there, I concluded that not only is it a great destination for people who love the heat and the outdoors, but it's also a year-round destination that can appeal to everyone from Spring Breakers to families with kids. 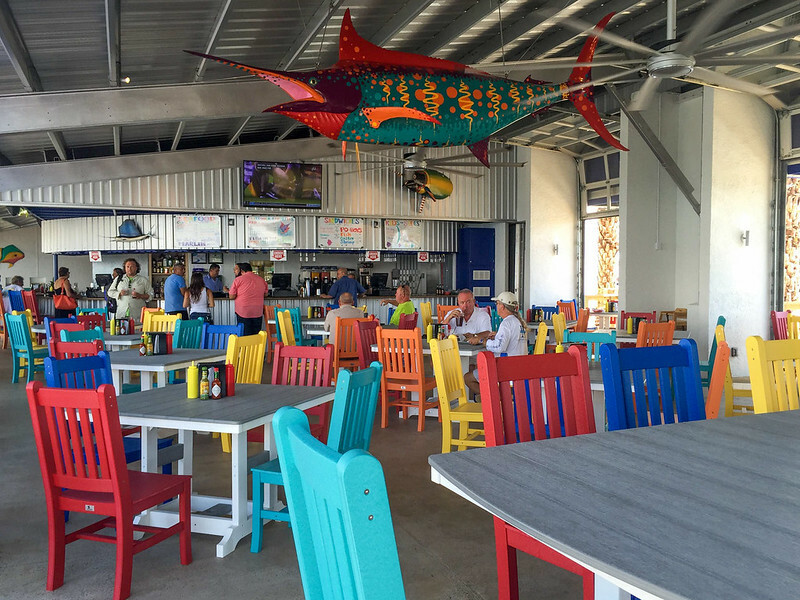 Take a moment to read my SPI to-do list and discover what there is to do on South Padre Island OTHER than hang out on the beach and drink. I'm so happy that paddleboarding has taken off and become as popular as it has. Not only is it a great way to be out on the water, but paddleboarding can be a great workout, too! 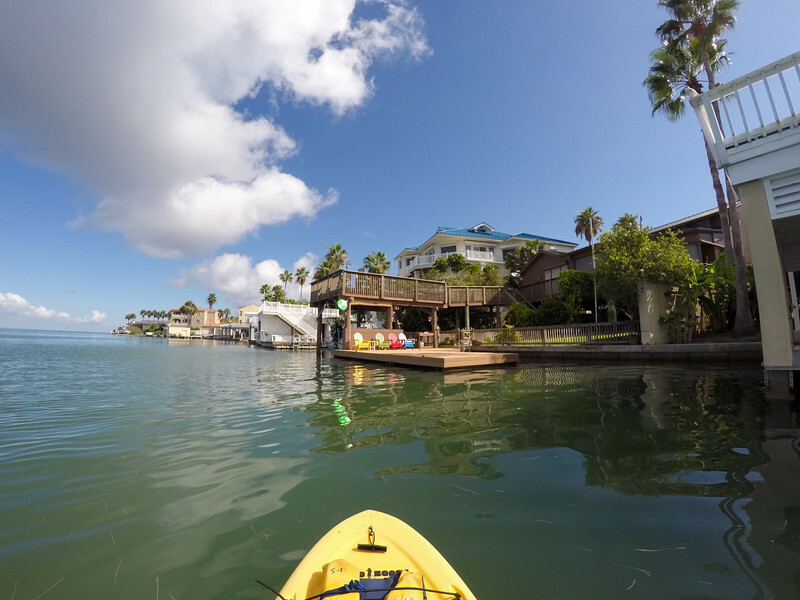 There are quite a few rental options when it comes to getting a board and heading out to explore South Padre's canals and Laguna Madre, but my pick is Air Padre. They are more well-known for their kiteboarding lessons, but they also rent paddleboards, kayaks, jet skis, and more. What I liked about renting from them was the fact that they have big plastic paddleboards that are almost like sit-atop kayaks – meaning that they are super stable for standing on! We rented boards for two hours and enjoyed paddling around in the Laguna. 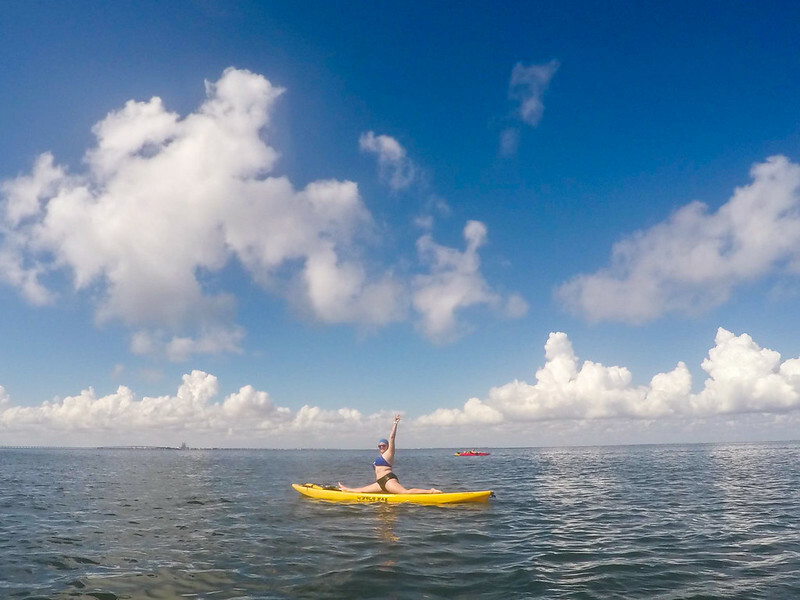 Forget paddleboard yoga – I'm pioneering paddleboard gymnastics! There's also a company that rents glow-in-the-dark kayaks and paddleboards if you want to go for a paddle at sunset. Tip: I would do this early in the morning, as it can start to get really hot (and sometimes windy) in the afternoon. Another great morning activity is a horseback riding tour with Island Adventure Park. To get there, you have to leave the town and drive down South Padre Road 100, a road surrounded on both sides by sand dunes, which in itself is pretty cool. Once you get there, you're paired up with a horse and are ready to ride in no time. 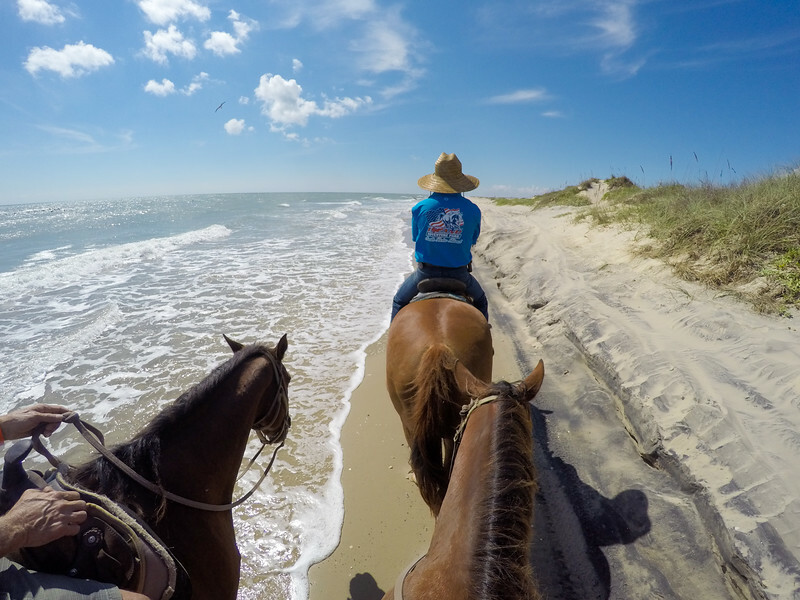 The riding tour lasts about 90 minutes, and has you riding along the quiet beach and up into the dunes. I LOVE horses and horseback riding a lot, and this was therefore one of my favorite things I did on South Padre Island. The best part is that this is a very affordable adventure, starting at just $45 per person. 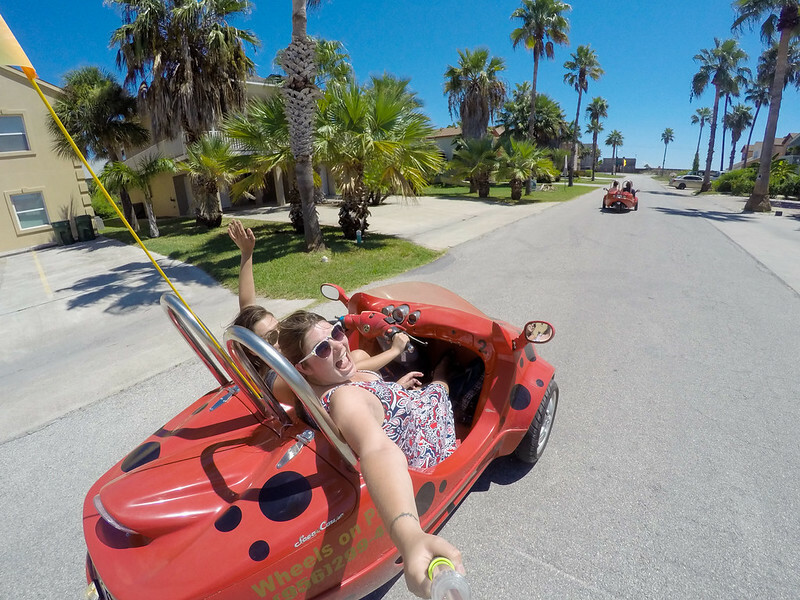 It may look a bit weird, but driving around in a little scooter car called a scootcoupe was another of my favorite activities on South Padre Island. These tiny little cars may look a little ridiculous sharing the road with huge pickup trucks, but I assure you that they are SO fun to drive – and they can actually go more than 40 mph! Ours even looked like a lady bug! While most people visiting SPI probably have a vehicle, spending an afternoon zipping around in one of these is still worth it. Several of the companies on the island that rent out golf carts and bikes also rent scootcoupes (some places call them “mun cars”). Check out SPI Fun Rentals and Wheels on Padre to see if they have any available to rent. 4. Learn about turtles at Sea Turtle Inc. 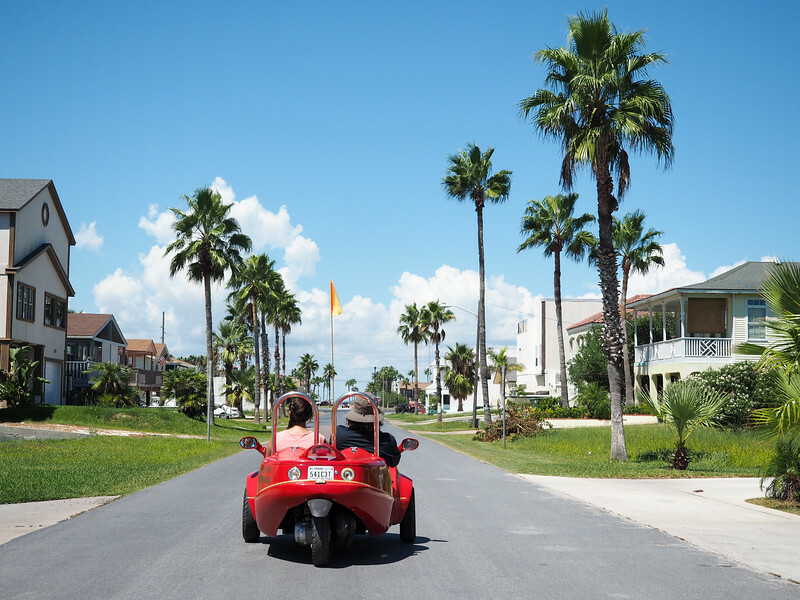 While driving around in our scootcoupes, we made sure to stop at Sea Turtle Inc., a facility on the Laguna Madre that aims to rescue, rehabilitate, and release injured sea turtles. They also protect sea turtle eggs and release hatchlings back into the wild. Visiting the facility, you can see some of the turtles currently in rehab, as well as a few permanent residents that can't be released because of amputations and other disabilities. Perhaps the most famous resident is Allison, who lost three of her four flippers to a predator attack in 2005 and spent years unable to do anything other than swim in circles. 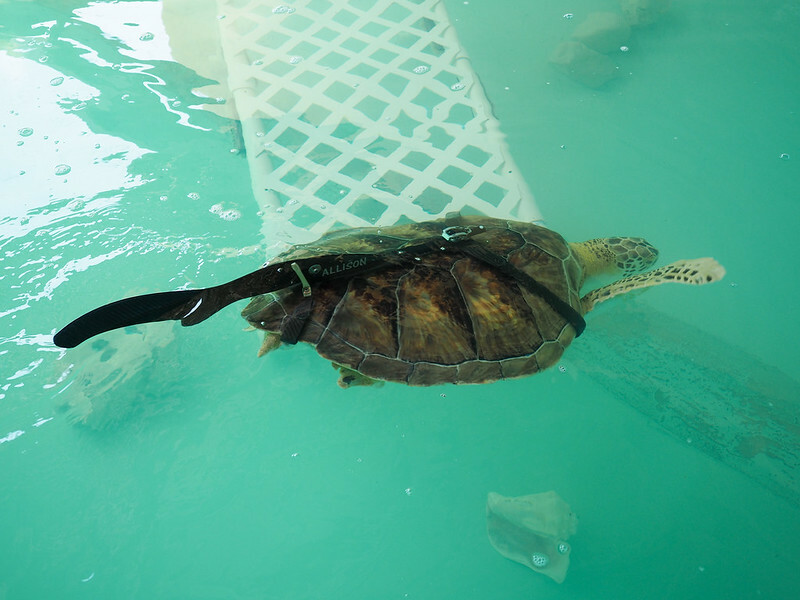 In 2009, though, an intern designed a prosthetic “rudder” for Allison, and she is the first sea turtle in the world to successfully use a prosthesis. This is a great place for anyone – kid or adult – who is interested in learning more about sea turtles. 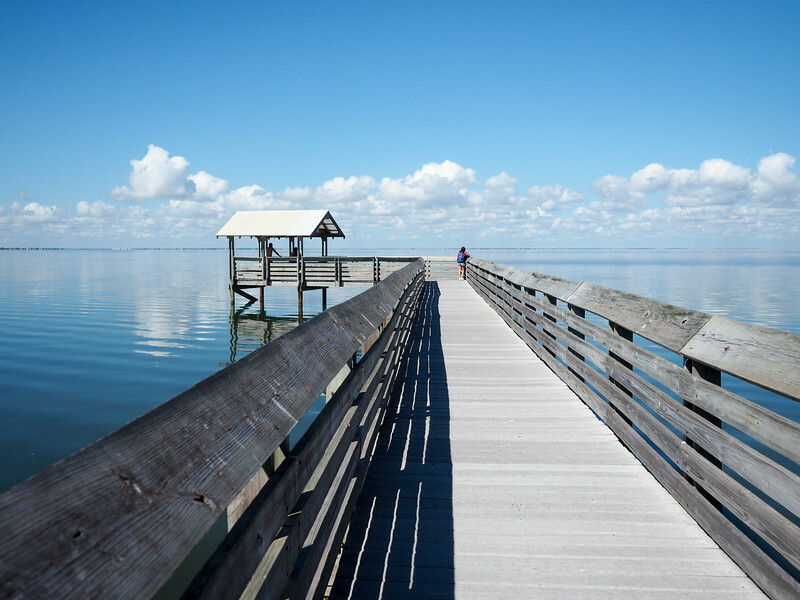 It's one of the top South Padre Island attractions for a reason! Want to go on a nice walk that doesn't include sand? 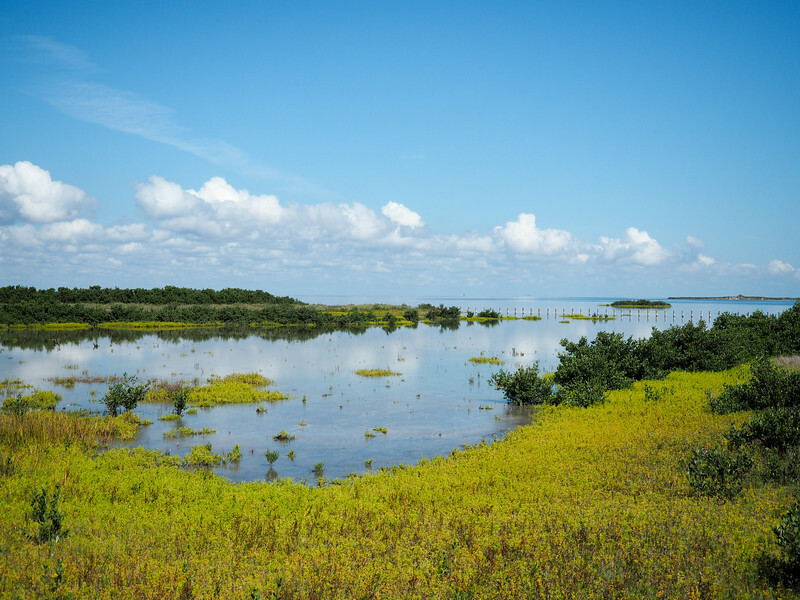 Head over to the Laguna Madre Nature Trail near the South Padre Island Convention Center. This 1500-foot boardwalk criss-crosses marshland near the Laguna Madre, and is a great place to spot lots of different bird species. It's also an incredibly beautiful and peaceful place for a walk. For the fishermen (and women) among you, South Padre Island offers up many opportunities to fish for trout and redfish in the Laguna Madre. If you go out in the morning, you can bring your catch back, clean it, and then take the fish to a couple of different restaurants to get it cooked up for lunch. 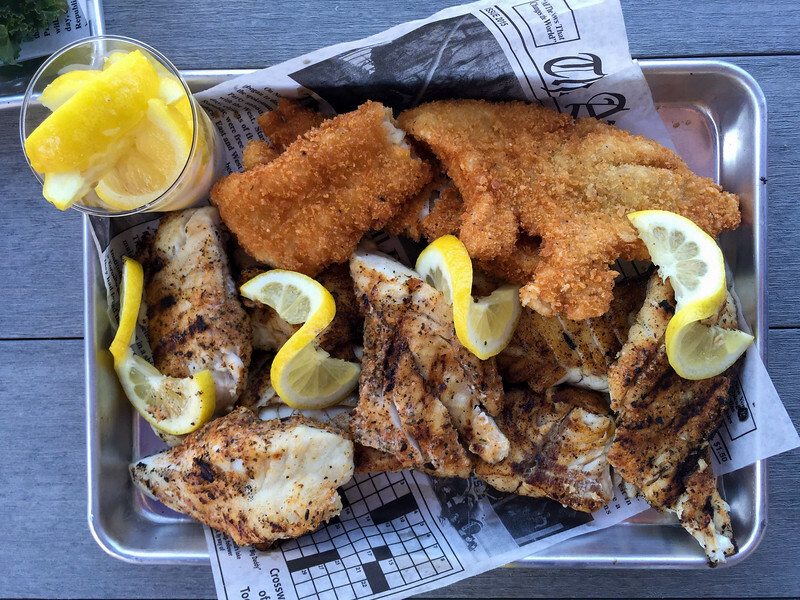 I didn't go fishing myself, but Craig from Stay Adventurous did and brought back a bunch of fish that we got cooked up at a new restaurant at Jim's Pier. It doesn't get much fresher! Parasailing is really fun, and just the right amount of adventure for many people. 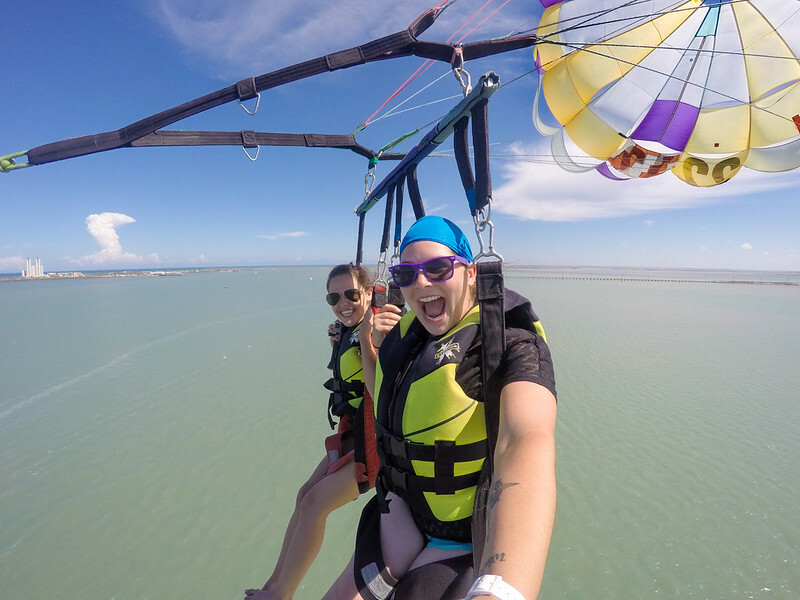 We went parasailing with Breakaway Cruises, which was a great way to see South Padre and the Laguna from above. I did the tandem parasailing option, which I think is actually more fun than going solo. 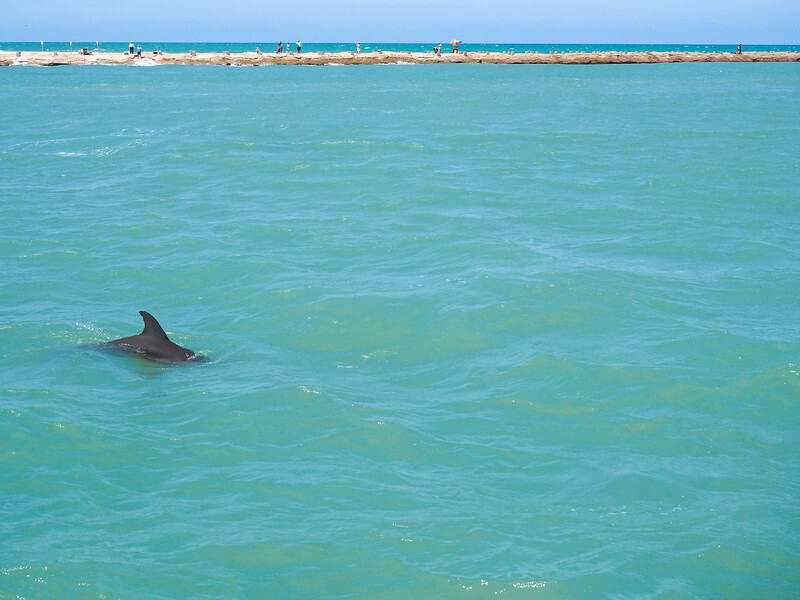 One of the most popular family-friendly activities on South Padre Island is going on a dolphin-watching cruise. The cool part is that you don't have to go far at all – there are hundreds of bottlenose dolphins that call the Laguna Madre home. This also means that you're almost guaranteed to see some dolphins on your cruise, which makes it great value. While out with Osprey Cruises, we also learned that the Laguna Madre is one of just six hypersaline (i.e. saltier than the ocean) lagoons in the world. What a fun fact! 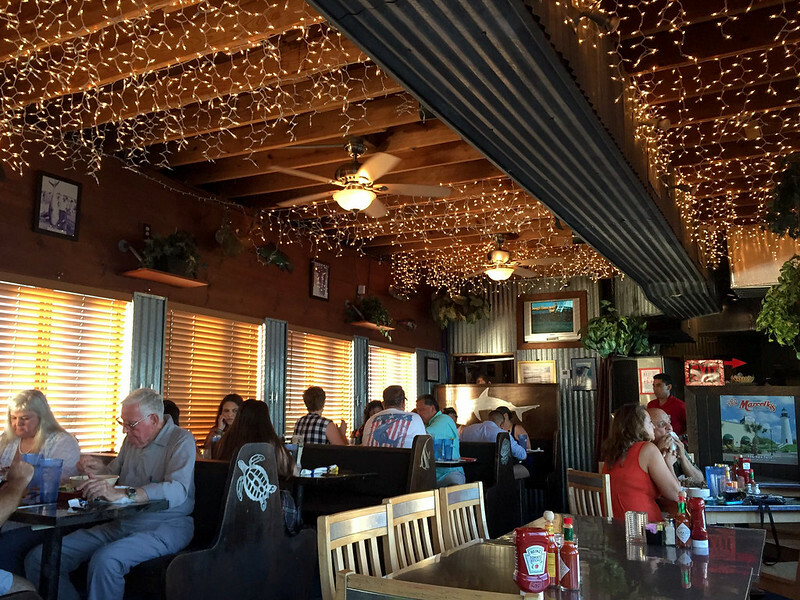 Looking for a good place to eat that's also a great sunset spot? Look no further than Pier 19, which is definitely both. The quirky restaurant complex spreads out along the pier (I love it because no two sections look the same), and the actual pier portion at the end is a great spot for watching the sun set. I had the seafood pasta (delicious), and also tried the calamari and ceviche (also delicious). 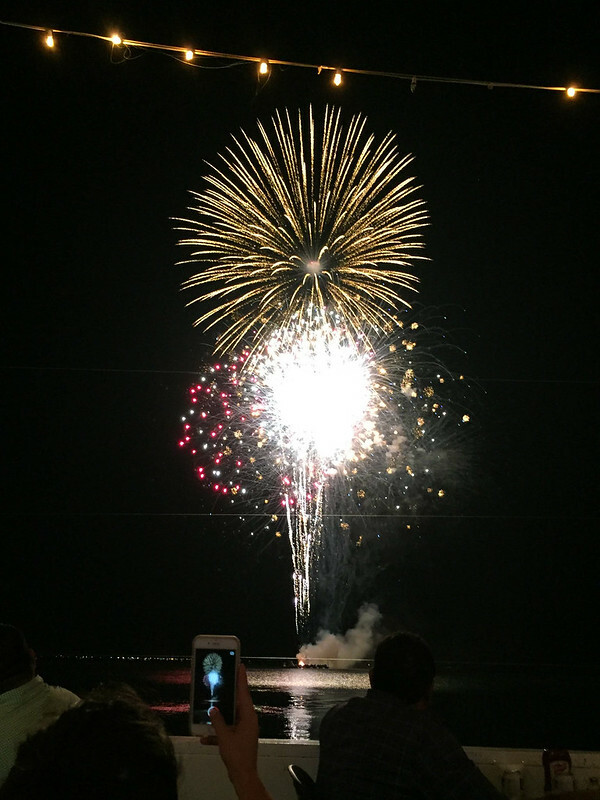 Lastly, if you're visiting South Padre during the summer months (Memorial Day through Labor Day), you can catch fireworks over the Laguna Madre every Thursday and Friday night at 9:15 p.m. at Louie's Backyard. This restaurant/sports bar complex is the perfect place to have dinner and watch the fireworks. Louie's is known for its seafood buffet, and is also a popular spot for music and nightlife later in the evening. And look at that: not one mention of drinking or laying on the beach! 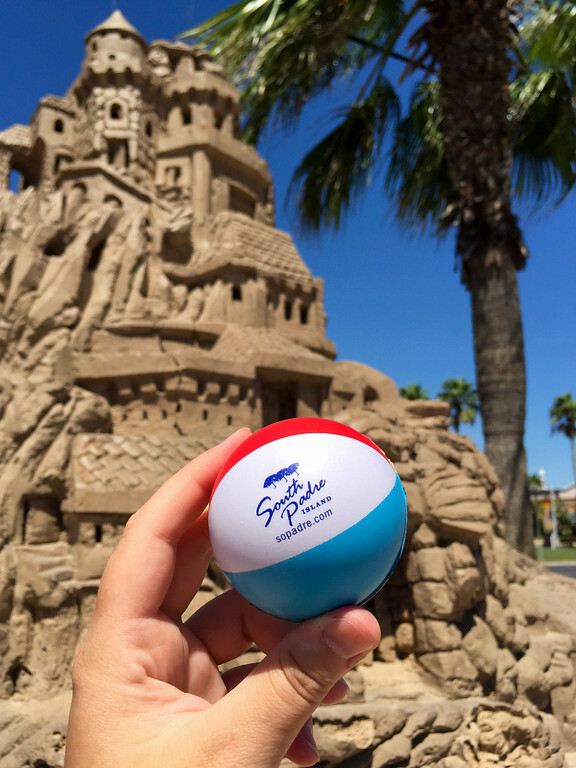 There are even more things to do on South Padre, too, from taking a sandcastle-building class (yes, for real!) to kayaking to shopping. It's totally possible to plan a vacation to this little slice of Texas and never get bored. If you're traveling with a larger family, you could also consider renting a condo like this one. OR, you can compare South Padre Hotel prices here. Looking for packing suggestions for South Padre Island? Head over to my Amazon shop to see all my favorite travel gear! Pick up a Texas travel guide before you go. What would be at the top of YOUR South Padre Island to-do list? *Note: I was a guest of South Padre Island and Texas Tourism on this trip. But, as always, all opinions are 100% my own! Looks like a great place to head to this winter when the snow becomes unbearable! I love the little turtle story. You go, Allison! The scootcoupe sounds fun! I remember wanting to do something similar in Vegas last year, but it was fully booked so I went with a jeep tour instead. I’m also all about paddle boarding – it’s such a fun activity once you get the hang of it. If I lived closer to a large body of water, I would totally buy a paddleboard! It’s a great workout, AND just lots of fun. And yes, the scootcoupes were awesome! One of my favorite things we did, in fact. 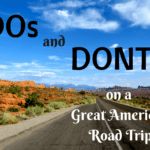 It’s a cool place – and there’s so much to do! I would probably avoid the busy summer months. But the good news is that it’s pretty warm there year-round! Oh my so many things to do there! I would definitely go for that scootcoupe, parasailing and horseback riding. Don’t mind the going to see the turtles, too! Great Post, Amanda!! Thanks for sharing these 10 great tips. Most of us miss out on small little things and forget to do that extra fun. It’s also easy to overlook a destination when you don’t know how much it offers! …but I’ve only been to South Padre for spring break. And it was college, so I don’t really remember it. I definitely need to go back. Thanks for the Trip Inspo! You should definitely go back and check out everything else there! I enjoyed it a lot more than I expected to, to be honest! Would definitely go back if I was craving a hot destination. K. But whenever you get back to SPI try The Stables if you get a chance. Just curious why you did not mention The Stables at SPI? Have been riding there many times, along the beach, and it is awesome! Have also taken lessons there for riding but polo lessons are also offered. I generally only write about things that I experienced myself, and since I went riding elsewhere that’s what I mentioned! Learn to build the Sandcastle of your dreams with American Champion, Andy Hancock – There are 5 instructors on the Island! Its the Sandcastle Capital of the World! Hire one of the Many Island fishing captains such as Mark Guillot and go fishing on the laguna Madre bay where you may spot Green turtles, almost always see Dolphins and catch Lunch and Dinner which can be cooked by almost any resturant on the Island – you’d have to search for the ones that didn’t! Thanks for all the extra suggestions, Andy! I was sadly only there for a couple of days, so I simply didn’t have time for everything! This is an amazing list! I’m going next March for spring break and this will help me to have an amazing time with plenty to write about! (I’m also a travel blogger) Where did you rent the scootcoupe? I was searching online and could not find it. There are a few places on the main strip to rent scootcoupes – we got ours from Wheels on Padre! Hi, I am from India and will be travelling to Texas this year end. I wanted to know if south padre island is accessible via road or is there any need to take a cruise or something like that? Even for Galveston? 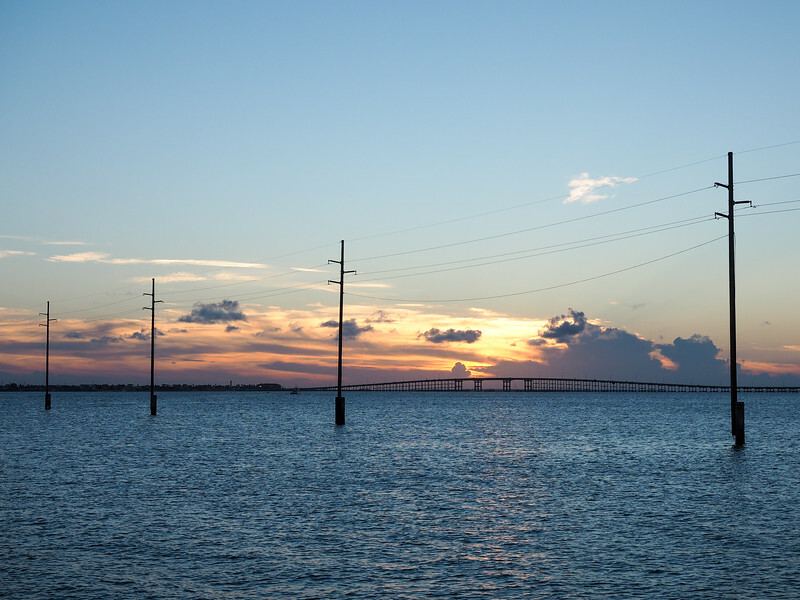 South Padre Island is connected to the mainland by a large bridge, so you can indeed drive there. Sorry to hear you didn’t have as good of a time! Guides really can make or break a tour sometimes. 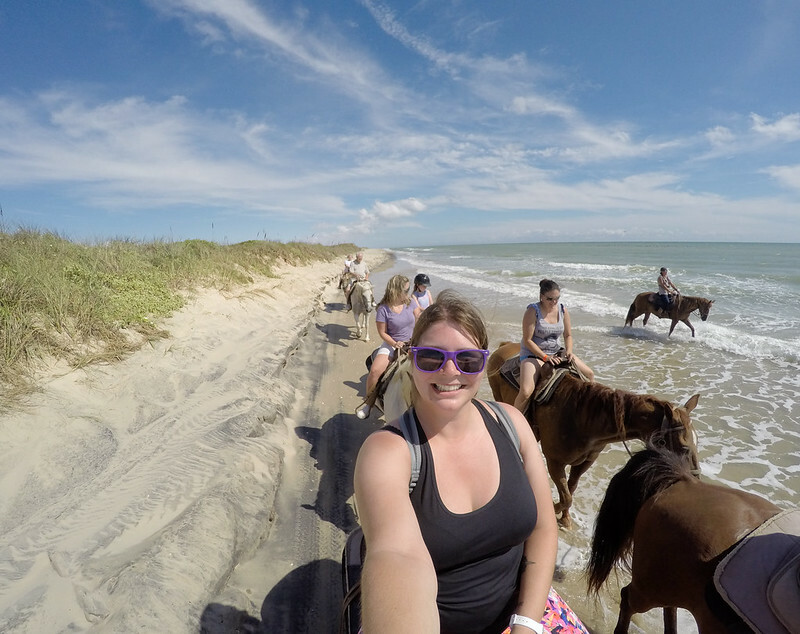 As for price, though, I found the horseback rides in SPI to be super affordable! Amanda mentions in her article (paddle boarding section) a company that has LED Lighted kayaks and paddleboards and a link provided to Bayside Water Rentals. GREAT customer service is what we are known for and we have had many customers who did our LED Fireworks or LED Sunset Event that also did the horseback riding and said they loved the “wow experience” we provided more than the horseback riding. When you return to SPI in the future look up Bayside Water Rentals for a truly unique experience and superior customer service. We are listed on the SPI Visitors Bureau’s website. You mentioned price of touring on some such as how much it costs to ride a horse. But you failed to do the same on that tiny car called scoutcoupe. Overall, though, I thank you for giving me an idea on what to do and see in South Padre. The prices to rent the scootcoupes can vary depending on the season and where you rent it from, so I didn’t include any pricing. The place we rented from rents those for about $50 for an hour, I think. Amanda mentioned a company that does lighted LED kayaks and paddleboards and provides a link to Bayside Water Rentals page on the SPI Visitors Bureau’s website. We are a new company that is bringing the newest “wow experience” for SPI visitors. 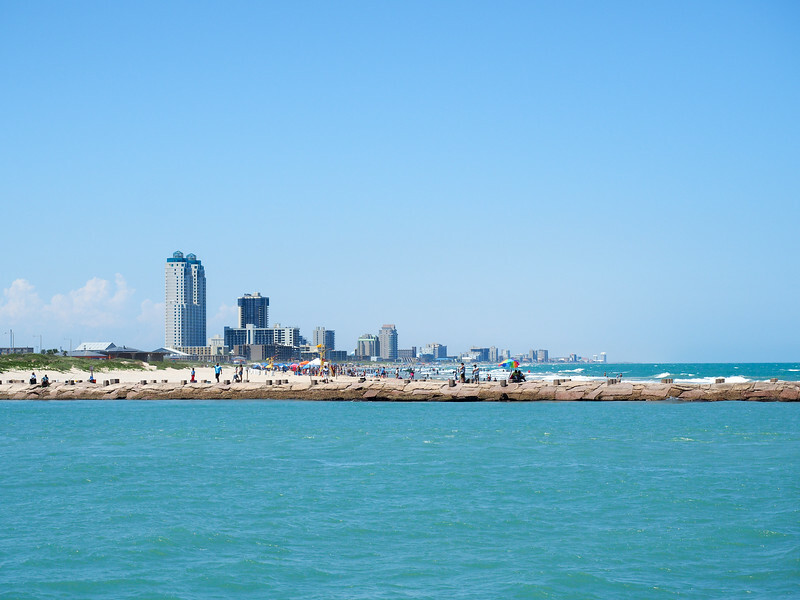 We have created a buzz here on SPI in a short period of time and have many places on the Island that highly recommend us as in the Top 5 things to do on South Padre Island (Breakaway Cruises, KOA Campground, Jim’s Pier, The Inn South Padre Island, and several of the accommodation rental companies). Please check us out when considering what to do here on Padre as we go above and beyond for our customers. It should be called Spring Liberals! The punks drive wrecklessely and too many of them are intoxicated with alcohol and dope. You can walk along minding your own business and end up in trouble with too many young and inexperienced-in-life college punks who think they own this island each year. I reccommend coming here from mid April to September…you’ll enjoy it much more when most of the visitors are the seniors and the punks are all back at the schools who teach them little or nothing, anyway. I’ve lived and worked out on South Padre Island so I know what I’m talking about! Not sure I understand the tie between “punks” and liberals, but okay.